Horror may, in fact, be the hardest genre to pull off. There are so many ways a film can go wrong and so few for it to go right. You need to maintain the atmosphere, balance the story, create characters the audience cares about, use every aspect of filmmaking to amplify tension, and find a way to tap into the base fears of society. I tell you all this because Hereditary, the new film by Ari Aster, spends 110 minutes of his runtime crafting a near-perfect horror extravaganza about loss and family, only to trip up at the ending, creating a wholly enjoyable but slightly frustrating final product. The film follows the Graham family in the aftermath of grandmother Ellen’s funeral. Her daughter, Annie (Toni Collette), grapples with her emotions due to their estranged relationship and a history of mental illness in the family. Annie’s husband, Steve (Gabriel Byrne) struggles to keep the family healthy, happy, and afloat. Their son, Peter (Alex Wolff), tries to move on as an average teenager, getting by in school, smoking weed, and pining for the girl he sits behind in class. And their daughter, Charlie (Milly Shapiro), Ellen’s favorite, continues to disturb those around her, due to her strange tics, habit for drawing bizarre portraits of those around her, and her penchant for cutting the heads off deceased animals. While the family wishes to move on following the death of the matriarch, a series of creepy, unsettling events, secrets, and tragedies forces them onto a path of destruction. Like all great horror films, from Rosemary’s Baby to Don’t Look Now (both of which clearly had a major influence), Hereditary finds its tension and terror inside our basic human fears. Here, Aster explores the effects of loss, genetics, and grief on us as people through a terrifying lens – imagine Ordinary People as a horror film. Aster’s message is made clear from early on in the film through two very important plot points, each of which neatly summarizes the film’s message. The first is one of Annie’s first monologues, where she establishes a strain of mental illness in the family, from her mother’s Dissociative Identity Disorder to her father’s schizophrenia to her brother’s depression. The second is a background speech in the classroom about the writings of Sophocles, discussing how fate cannot be avoided and how heroes are inevitably undone by their fatal flaw. Each of these drives home the film’s overlying tension: that we will slowly succumb to our genetics and allow a dark past to overtake us. As mental illness and depression numbers begin to rise, it can become daunting on society as we grapple with the unknown: “Do I carry these genes? Will I pass these genes on if I reproduce? If I or my child carries these genes, how can I cope?” These are the questions that Annie struggles with, embodied in a handful of shocking revelations regarding her deep-seated and long-gestating fears of maternity. Annie is afraid that through a lethal cocktail of bad genes, fate, and her upbringing, she will slowly become her mother. Add in a dose of terrible trauma and an already-dysfunctional family, and you have an incredibly detailed, frightening look at the effects of loss and mental illness on an otherwise-average family, and how it can eventually pull you apart. Still, while I feel like Aster allowed his story to spiral out of his control in the ending, I can’t help but marvel at the technical prowess on display from beginning to end. Each detail is expertly constructed, almost like the doll houses that Annie crafts and the story is framed inside – the first and final shot feature an aerial push and pull with the camera into a dollhouse, a choice that demonstrates the film’s ideas on fatalism in a masterful stroke by Aster. The editing is smart and simple, continuously building tension to keep the audience on their toes, whether it’s by focusing on a shape in the darkness, a dinnertime fight scene, or a tense drive home in the darkness. The music doesn’t help things in the slightest, maintaining a creepy atmosphere even when things are normal, keeping the audience guessing as to what’s going to happen and when. 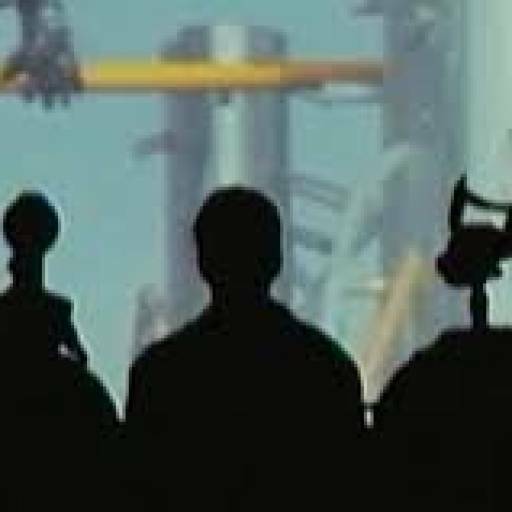 Although if I’m being honest, I’d rather have the creepy music – it’s much less unsettling than the clucking noises that Charlie makes, both onscreen and off, and there’s nothing worse than when the film decides to stop using sound altogether and just allow the silence to permeate the theater. God, that’s terrifying. However, if I’m being honest, the most powerful moment in the film is not one of the perfectly-executed scenes of tension and terror, but a quiet moment where a character flips through a sketchbook that suddenly goes blank. It would take away from the moment to say anything more about that moment, but I will say it not only sums up the themes of the film perfectly, but there are few moments in all of cinema to convey those emotions so perfectly. Across the board, it is safe to say that Aster knows what he is doing as a director. However, in a horror film based solely on tension and suspense, be it The Haunting, The Exorcist, The Sixth Sense, or Don’t Look Now, the burden of the horror lies on the shoulders of the actors. This has never been truer than for Toni Collette here. If you’ve been considering seeing this film, it is probably the case that you have heard that Collette is a master class in this film. And that analysis would be correct. For the first act of the film, Collette is quietly good, portraying a stressed mother well, but not in a way we haven’t seen before from her. And then it happens: she unleashes. And from that point on, there is no force on earth that can stop her. She unleashes each and every emotion in a hurricane of expressions, from anger to grief to terror to insanity. As she does this, her face contorts in ways not humanly possible, and yet there is no clear sign of CGI enhancement to make her look unhinged. It is a performance for the ages, a new marker for the horror genre, and one of the best of the underrated Collette’s career. No other actor in this film comes close to touching her, although Alex Wolff does his best. Wolff portrays Peter with an everyman quality, and it plays well off of his past as a member of the Naked Brothers Band. He made waves a few years ago by playing terrorist Dzhokhar Tsarnaev as something of a bumbling idiot in Patriots Day, and his performance here proves that the portrayal was intentionally ironic as opposed to bad acting. Newcomer Milly Shapiro has a Damien-esque quality in her portrayal of Charlie, and she can make us both fear and love her, often at the same time. Meanwhile, Byrne is the straight man of the piece, giving a solid performance while never really stealing the limelight or making an impact. Outside of the family, the only substantial performance comes from Ann Dowd, but you’ll find no complaints here as Dowd is, once again, a force to be reckoned with as the kindly Joan. I loved every second and every nuance of Dowd’s performance, and I hope she continues to pop up randomly in films for the rest of eternity. 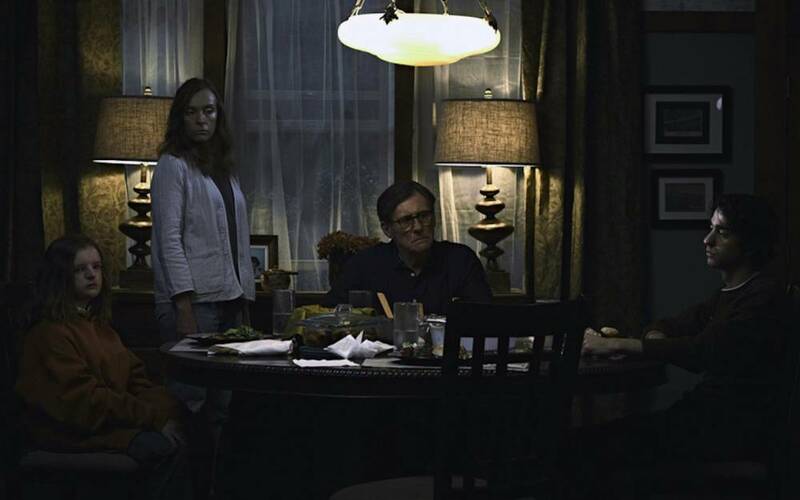 Hereditary is the type of horror film they don’t make anymore. It’s slow, deliberate, technical, smart, legendary, and insane. It’s everything you could possibly want in an arthouse thriller and more. It’s just…I can’t get past that ending. This is still an undeniably good film, and most of the film is truly great, but I can’t get the foul taste of that finale out of my mouth. See Hereditary when you can, and marvel in Aster’s direction and Collette’s performance, but lament the masterpiece that could have been.